It all works pretty smoothly actually. 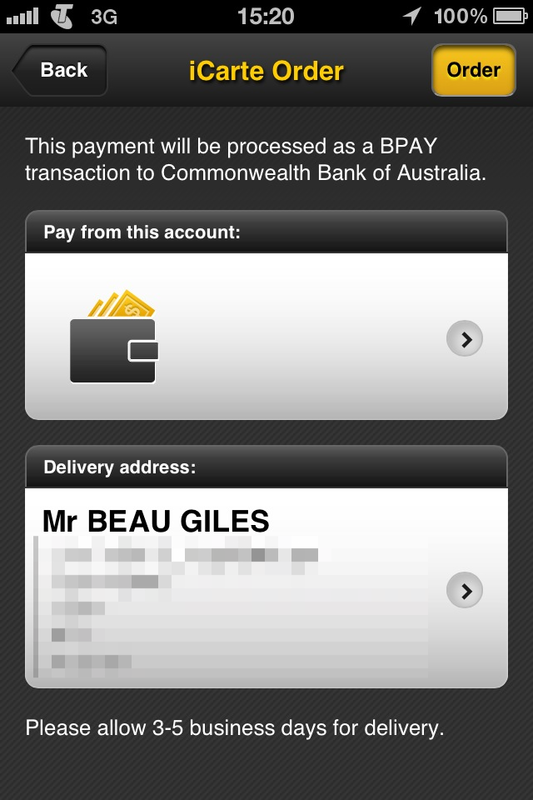 Purchasing and ordering the case is all done from within the CBA Kaching app. If you have a MasterCard on your account, you’ll see a ‘Set up PayPass’ button. Depending on what kind of person you are, you may or may not find the price hard to swallow. Being a geek (with perhaps too much money to spend) I ordered it the day it became available. After deciding to buy it, you get to choose which account the funds will be debited from (via BPAY), and your delivery address. Shipped via Express Post, you should see it arrive within a day or two. 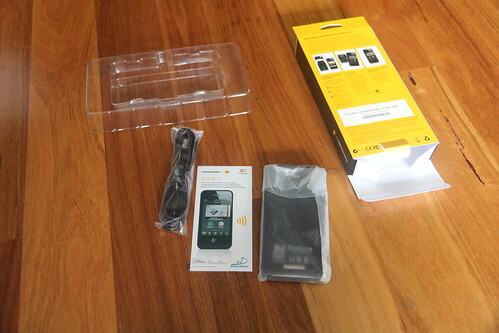 When it arrives, just plug the case into your phone, and open up Kaching. 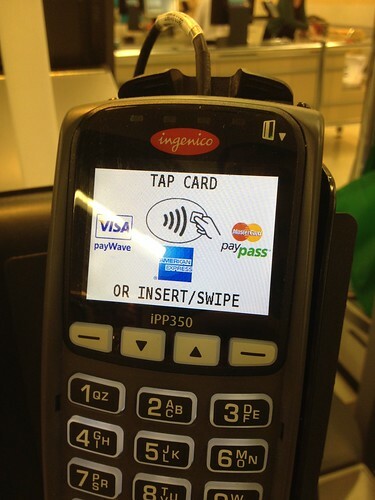 Tapping ‘Set up PayPass’ will now bring up a confirmation for the card to be ‘installed’. 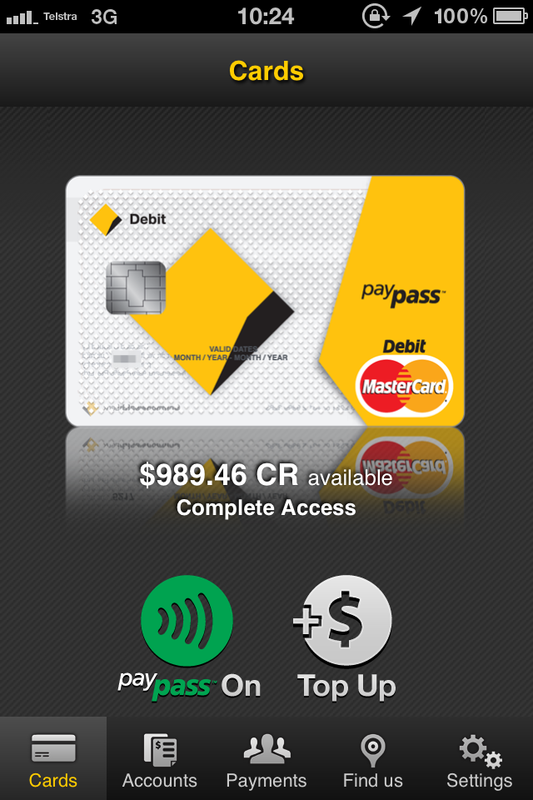 Basically your card data is downloaded from CommBank, and then ‘installed’ into the secure element. The secure element is kept completely separate from everything else, and runs its own small operating system, controlling read and write access. If any forced access attempt is made, the element can completely wipe itself, making itself useless to anyone and everyone to use. After the card has been installed into your iCarte, you’re ready to rock and roll. Make sure that PayPass is on (green! 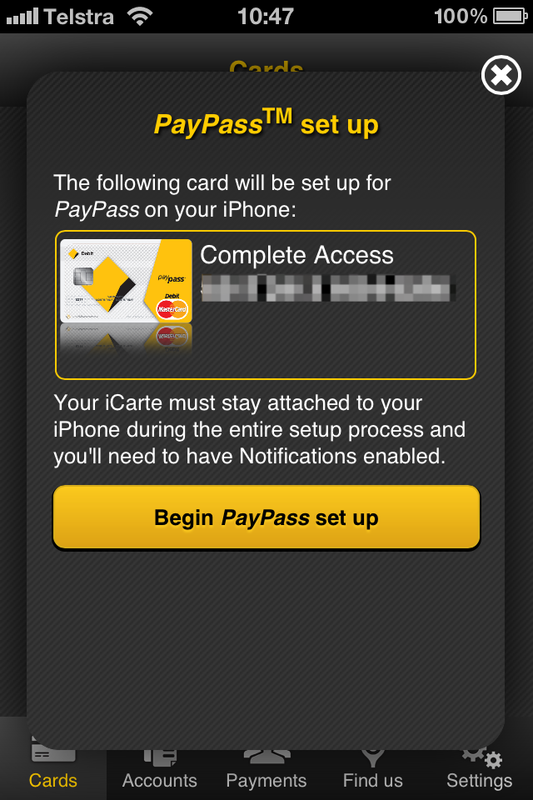 ), and now all you need to do is tap your phone to any PayPass reader. Magic! The iCarte case itself is actually quite nice. I find that it rounds off the iPhone 4/4S really well and gives it a nice feel. If you’re not totally sure about downloading your credit card details into your phone case, lest you lose or it’s stolen, etc, you don’t have much to worry about. For starters, the case is only ‘active’ when the app is open. And to open the app, you most likely have a passcode on your iPhone in the first place. To get into Kaching, you also need a 4 digit PIN. For convenience, you can enable PayPass on this start screen, without needing to put your PIN in to make payments etc. However you can turn this off if you prefer. The iCarte is tied to your phone. You can’t simply install Kaching on another iPhone and put your case on. It’s smarter than that. It’s also possible to completely lock the iCarte’s secure element, rendering it completely useless. This can happen if access is attempted via brute force, etc. Overall, I do like the idea of the iCarte and being able to make payments with my phone, but I do wish that a third party accessory wasn’t required. 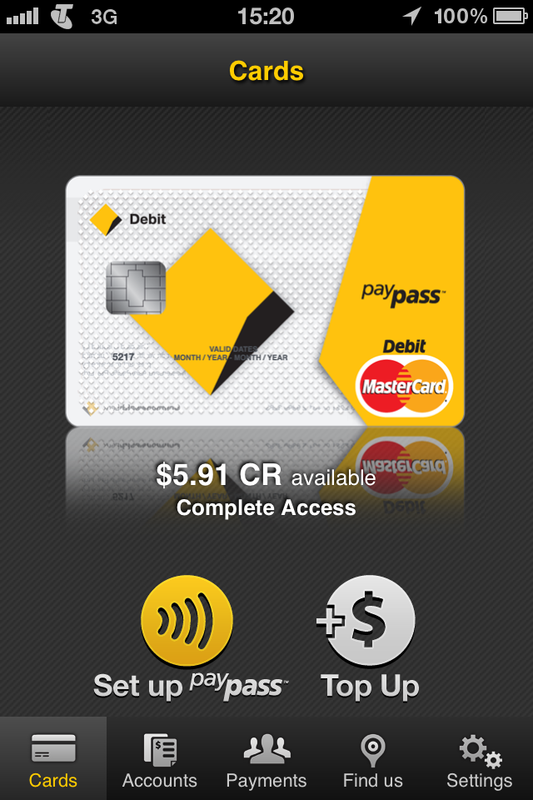 If you’re a Commonwealth Bank customer, the iCarte will set you back $55 delivered. 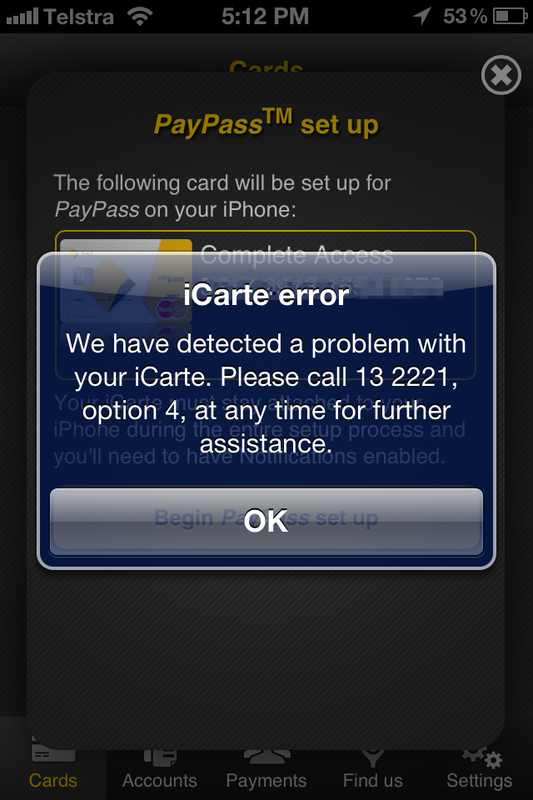 If you’re not with CommBank but still want an iCarte to play with, ChipWave sell the iCarte (including a iPhone 3G/3GS compatible attachment) unsubsidised at $150. If you’re still baulking at the price, the iCarte is also capable of more than just mobile payments. In another blog post, I’ll look at reading NFC tags on the iPhone. How have you found the impact on battery life? For someone I know it seems to sap the battery quite quickly even when not in use, and the micro USB charging port is a bit of a gamble at charging the iPhone itself (and whether it even registers as Charging with the lightning bolt battery icon). Agreed it’s a great case and offers some nifty features in the absence of Apple provided NFC, but the battery usage issue is a bit scary when the 4S no longer lasts a day. I’m looking forward to the related article appearing about reading NFC Tags on iOS. I see the NFC Tags app supports the iCarte, but I would rather have the functionality of the NFC Actions app. Unfortunately this currently requires a different NFC accessory. Once the iCarte has been registered for use with Kaching it is locked to a particular phone and a particular phone number. So if you buy your phone and iCarte cover secondhand, you will not be able to use the iCarte with Kaching (assuming you don’t buy the phone number too). Netbank technical support have not been able to help me re-register the iCarte with my own account details and have told me that I need to purchase another iCarte cover in order to use the Kaching application.